PLEASE READ EVERYTHING BEFORE BOOKING! To schedule an appointment, please visit our online booking page! Click here! Price increase of $5 for regular clients will go into effect March 1, 2019. What happens during your service? 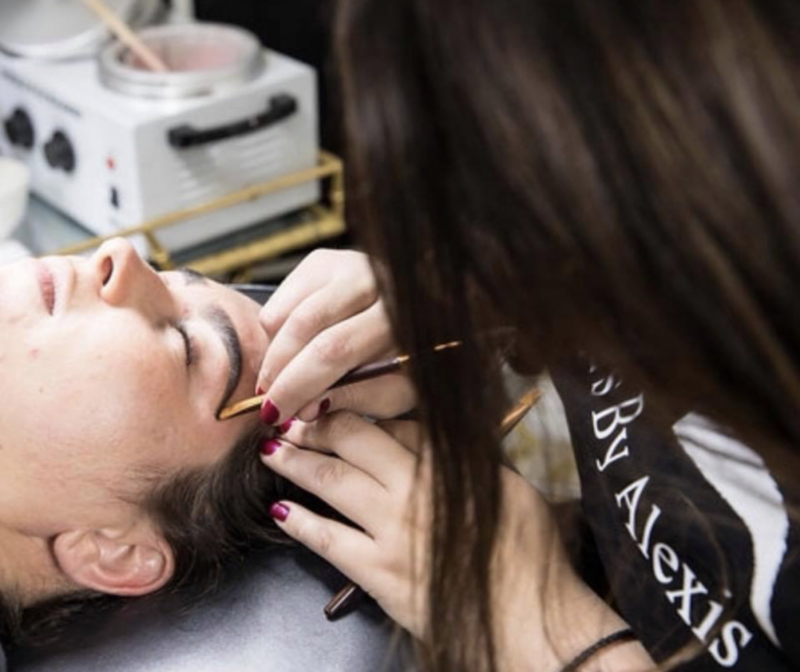 During each appointment, your brows will be waxed, tweezed and trimmed to perfection. Brows are also filled in when time allows for it! You’ll always be instructed on where to grow them in to constantly be perfecting your desired shape! What if I can’t wax? We offer tweeze-only since we do not allow anyone to wax when skincare is being used that would thin the skin out. You should always google your skincare to have an idea of what you are using. Accutane (or any other prescription acne medication), retinol, antibiotics, sunburned skin, even some percentages of salacylic acid are big NO-NO’s! Certain skincare and waxing are both forms of exfoliation. For regular users—who generally have fewer dead skin cells on their skin—lip, eyebrow, or any facial waxing can strip away part of the epidermis, resulting in abrasion. If you are not 100% sure that your products are safe, google it and if someone has had an issue they will have written about it. Wax alone is unlikely to lift the skin unless it is extremely thin. When you schedule an appointment, you will be asked to enter a credit card number. This card is on file in case of a no-show appointment. You pay for your services in person with cash. * Please note that we do sell products so bringing only enough cash for your service can restrict you from purchasing products! There is an atm located directly across the street. Parking is located in front of the salon, and also on the side of the one-story building.